Having nuclear weapons can be a good diplomatic tool for North Korea to make bargains with big countries. Making a compromise with the United States and South Korea is not reliable. 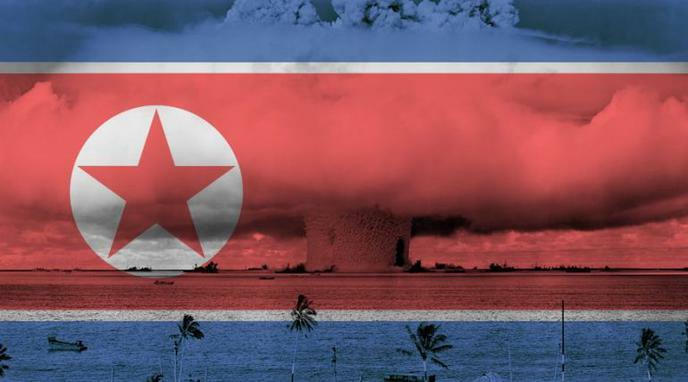 North Korea has been intimidated by other countries to be attacked with nuclear weapons. Nuclear weapons can give North Korea deterrence effects. North Korea does not have superiority against South Korea in terms of economic and traditional military power, which leads to the necessity of having nuclear weapons. Countries which gave up nuclear weapons ended up tragic results. Nuclear weapons can be a tool to unify the peninsula which can be regarded as a preemptive way to secure its national security. Nuclear weapons can stabilize the domestic political situation in North Korea. There is no perpetual ally in the international community. There will be many advantages for its national security when North Korea gives up its nukes. It is not nuclear weapons but traditional forces that deter the US from operating surgical strike on North Korea. It is naive to think that the North Korean nuclear problem magically stops in Seoul or Tokyo. North Korea is well-known to have collaborated with terrorism-sponsoring states such as Syria (nuclear reactor attacked and destroyed in 2007 by the Israelis), Iran, and Pakistan (+China, Russia?) They must not be allowed to master this technology and give it to other volatile or anti-Western regimes. North Korea will never get a peace treaty if it remains a nuclear power. No nation will trust the Kim Regime and want it to benefit from decades of dishonesty and bad faith. Its constant nuclear threats against the US are North Korea's greatest threat to its national security. The US has been content to not invade the DPRK for almost half a century without their possession of nuclear weapons, but now that they posses nukes, the US may be forced to invade to defend itself from a nation which is constantly threatening a nuclear strike and may distribute material and/or weapons to terrorist organizations. International sanctions because of the possession of nuclear weapons might be harmful for North Korean national security. Instead of nuclear weapons, other non-conventional weapons can be used for the national security.